Part the hair into three sections: two larger side panels and a thin segment running vertically from the hairline to the nape of the neck. Secure the two side sections so that they are out of the way. We recommend using Janeke combs. Once the side panels are secured out of the way, begin tightly cornrowing the middle section of the hair into a single clean, neat braid. Continue the braid to the bottom of the hair and secure with a fine hair elastic. Once the braid is tightly secured, release the two side panels of hair and brush them through, ensuring they are smooth and tangle-free. 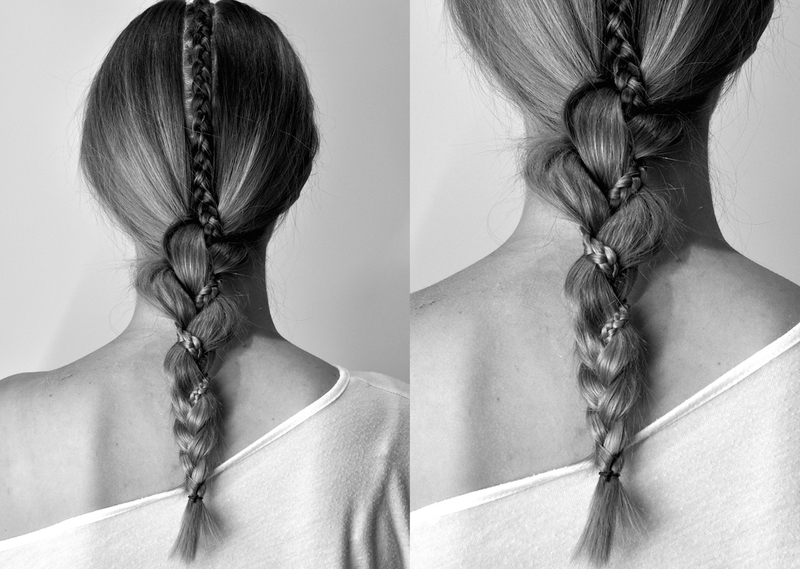 Take the three sections of hair: the two loose side sections and the middle segment that has now been cornrowed and plait them using a traditional three-part plaiting method (folding one part under another, down the length of the hair). Secure tightly at the bottom with a hair elastic. Spray a light mist of Wella SP Luxe Oil Light Oil Keratin Protection Spray for shine and luminosity.